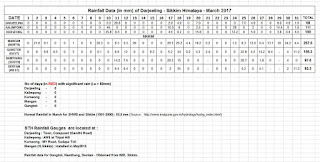 The precipitation of Mar2017 was a welcome phenomenon. 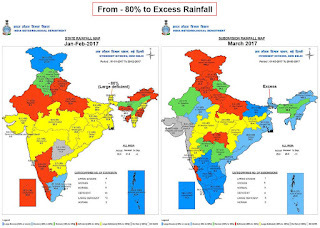 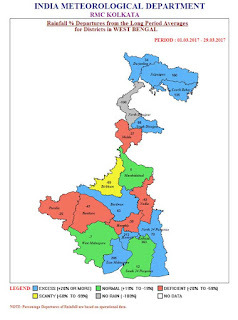 In our region the rainfall,snow and even the hail was moderate with no landslides or casualties reported and the rain brought a relief from the forest fires, the acute water shortage and came as a welcome break for those involved in farming and horticulture. 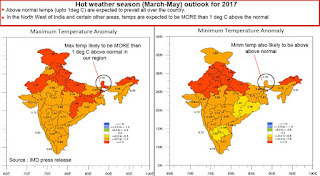 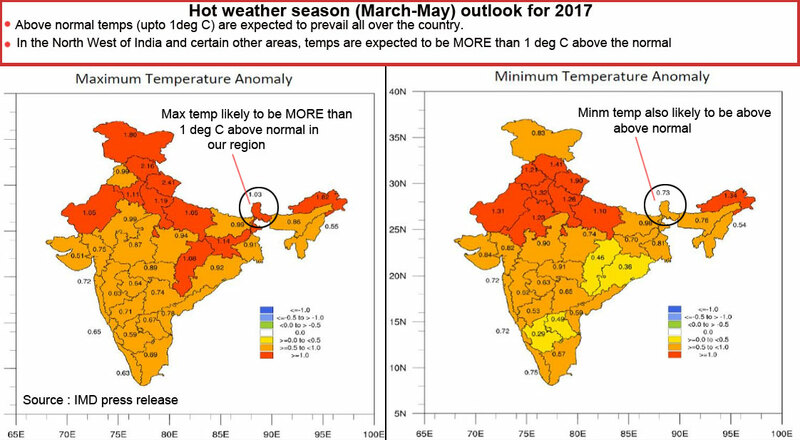 And even though IMD predicts higher than normal temps in our region in the pre-monsoon period, temperatures here are below normal, ranging from cool to even cold. 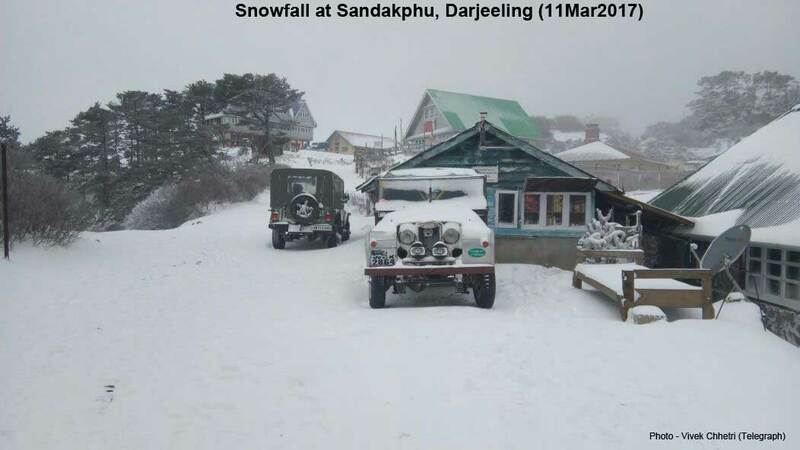 It snowed in Sandakhpu , Darjeeling around the 11Mar2017 (see image below). 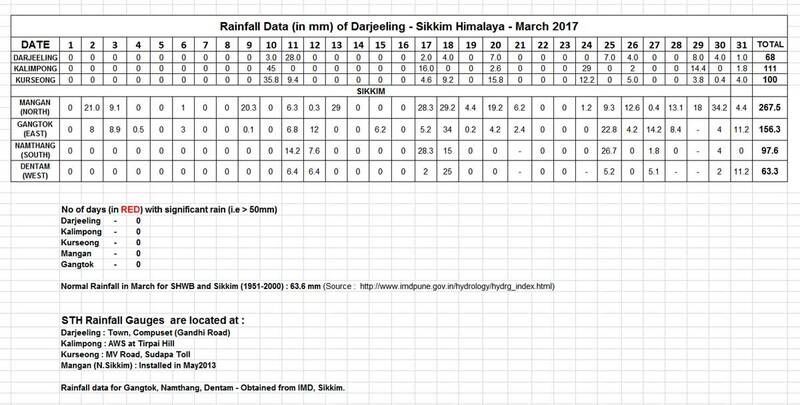 The most disconcerting event was of course the 4.5M earthquake of 27Mar2017 epi-centred 25km northeast of Kalimpong, near Pakyong (Sikkim) - see previous post.